Agricultural property on a plot of land of 7ha. Rural property with numerous outbuildings on 5,23ha. The Hautes-Pyrénées is situated in the south-west of France, bordering Spain. It was formed in 1790 from districts in the old province of Gascony. The Pyrenees mountain range occupies two thirds of the territory with peaks reaching higher than 10,000 feet. The department is home to about 220,000 people. Around half of them live in the capital, Tarbes. Tarbes is both a military and a market town. The town's most prominent landmark and most popular meeting point is the fountain Duvignau, decorated with images of wildlife. If you want to try some local produce then the busiest section of the market is to be found in Place Marcadieu. The town's star attraction is the Jardin Massey, an enclosure for different fauna brought here from around the world. You'll also see the cathedral's 14th century cloister here with its fascinating, not to mention strange, sculptures. Swans killing a bear and birds pulling a woman's feet are just some of the strange images of nature acting out of character. Just to the south-west of Tarbes is Lourdes, a town which receives over six million visitors every year. Originally just a small village, Lourdes underwent radical transformation when a local girl called Bernadette started seeing visions of the Virgin Mary. Today pilgrims and tourists flock from all over the world to seek miraculous cures and experience the site of Bernadette's visions. The town has inevitably become highly commercialised and many people use their life savings to make the journey here. The Hautes-Pyrénées is also home to a substantial portion of the Parc National des Pyrénées, which stretches for 100km along the French and Spanish border. 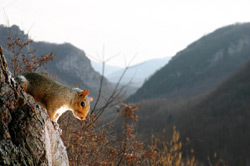 The park, which is full of mountains and streams, protects a vast number of different species of endangered flora and fauna from possible extinction. The park has an inner and an outer zone. It is possible to buy property in the outer zone. Currently there are 40,000 people living in 86 villages in this area. 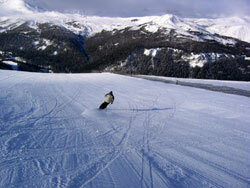 The Pyrenees offers good skiing for beginners and intermediates. You have the choice of alpine skiing, cross-country skiing, snowboarding, ski touring and the increasingly popular phenomenon of snowshoeing. One of the best resorts in the department is Bareges-La-Mongie. Its sheer size means that it has plenty to offer for everyone. There are 64 runs and roughly the same number of lifts. The nearest airports with direct flights from the UK are currently Lourdes within the department, Pau in Pyrénées-Atlantiques and Toulouse in the Haute-Garonne. If you'd rather make the slow, yet relaxing, journey by boat then you can catch a ferry to take you to either Bilbao or Santander from the UK. The whole Midi-Pyrénées region has experienced a substantial increase in property prices over the last few years. The Hautes-Pyrénées is one of the few areas left in the region, which still has a number of renovation properties available. Spacious stone farmhouses are typical of the area. Do you know Hautes-Pyrénées better than we do? Do you have photos of Hautes-Pyrénées? The Hautes-Pyrénées is situated in the very south of the Midi-Pyrénées region of southern France. The department shares its southern border with Spain.